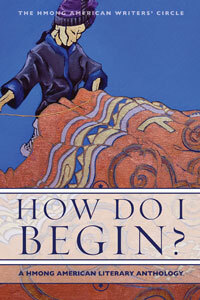 The Hmong American Writers’ Circle, whom we featured in Issue 3, officially launched its anthology, How Do I Begin? 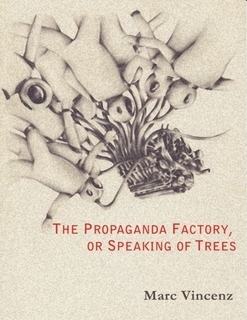 (Heyday Books 2011), in late October. The book is now available for purchase via Heyday’s web site. We’re absolutely thrilled that this landmark anthology is finally in print, and are incredibly excited to see the HWAC’s hard work on it come to fruition. 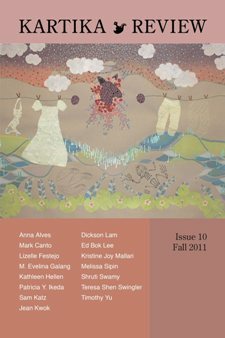 Kartika Review‘s beautiful tenth issue has just hit the web (and Lulu, too—as it is now also available in either black-and-white or full-color hard copy! ), and we were especially elated to see the poetry section, which is edited by Kenji C. Liu (of LR issue 2) and includes work by two of our other past contributors: Kathleen Hellen (Issue 2) and Melissa R. Sipin (Issue 3)! The issue also includes one of Timothy Yu’s fantastically irreverent “Chinese Silence” poems (a series that began as a response to Orientalist tropes in Billy Collins’ work), and poems and an interview with Ed Bok Lee. 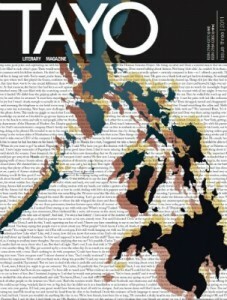 TAYO, the extraordinarily-designed Filipino literary magazine for whom Melissa Sipin (of LR Issue 3) serves as Creative Director, has just put out its gorgeous third issue. The issue, which includes poetry by LR Issue 2 contributor Aimee Suzara and an interview with LR Issue 1 contributor Barbara Jane Reyes, is available both in print and in a special, new online edition. Kundiman founder Sarah Gambito recently announced the release of the first issue of CURA, a literary project that is produced out of the Creative Writing program at Fordham University. Edited by Sarah and designed by LR Issue 3 contributor Monica Ong, each issue is curated according to a prompt that draws its inspiration from a central theme (this year, the theme is “home”). Issue 1 features work by Bushra Rehman (LR Issue 1) and our very own staff writer (and Issue 1 contributor) Henry W. Leung alongside poems by the likes of Robert Bly and Evie Shockley. CURA is accepting submissions through Thursday for its second issue, whose prompt is “the body as home”—so please consider sending something their way! 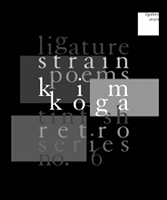 Many congratulations to Oliver, Marc, Kim, HWAC, Kenji, Kathleen, Melissa, Aimee, Barbara, Bushra, Henry, Monica, and to the editors of Kartika, Tayo, and CURA. To read their contributions to LR, please visit any of our past issues (you can navigate to any of their work through the issues’ respective Tables of Contents: [Issue 1], [Issue 2], and [Issue 3]). Happy Monday!